It’s called the Triangle of Trustsm, the intersection of data, analytics and regulatory expertise necessary to move raw data to successful regulatory compliance. Success can only be achieved when all three segments of the Triangle are in alignment. In applying the Triangle of Trustsm to compliance with the Affordable Care Act, workforce data, analytics and regulatory expertise are critical factors to success. Successful application of the Triangle of Trustsm for ACA compliance starts with workforce data, such as HR data, time and attendance data, payroll data, and health benefits data. These data are frequently scattered across various databases and platforms. Processes must be in place to ensure that this data is aggregated into a “Single Source of Truth” to ensure data accuracy. This clean, accurate data can then be used for completing annual ACA information filings to the IRS. Process Challenge: During this aggregation process, there’s a significant chance that crucial bits of data will either be omitted, duplicated, or entered in error. Once you’ve validated your data, it must be analyzed properly to perform key ACA calculations. Understanding how to interpret data so that it answers the requisite questions is critical to a successful ACA filing to the IRS. Organizations must have the right information and processes to correctly interpret data. Process Challenge: Many organizations will use vendors that provide ACA compliance software they must use in a “self-service” capacity. You’re putting a lot of trust into this automated software to process and interpret your data. However, the software won’t tell you if the underlying data contains discrepancies, and it won’t tell you if the outputs generated are creating compliance issues for your organization. 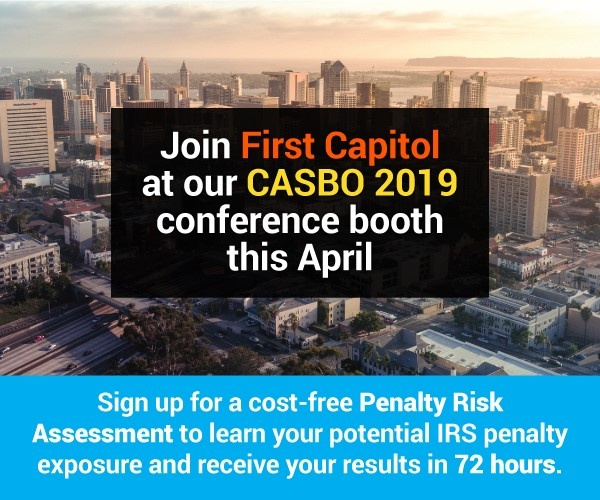 If the data is bad, and the software provides an ACA filing that highlights these data errors, your organization will be exposed to significant IRS penalties. What safe harbor and measurement methods are being used? Are any processes in place to make sure that collective bargaining agreements that call for health coverage benefits are consistent with the ACA? What’s the monthly offer rate percentage? How are flex credits or opt-out arrangements applied towards affordability? Mastery of the Triangle of Trustsm is critical for ACA compliance. Failure to comply with the ACA ’s Employer Mandate can result in costly penalties from the IRS. Under the ACA ’s Employer Mandate, Applicable Large Employers (ALEs), organizations with 50 or more full-time employees and full-time equivalent employees, are required to offer Minimum Essential Coverage (MEC) to at least 95% of their full-time workforce (and their dependents) whereby such coverage meets Minimum Value (MV) and is Affordable for the employee or be subject to IRS 4980H penalties. 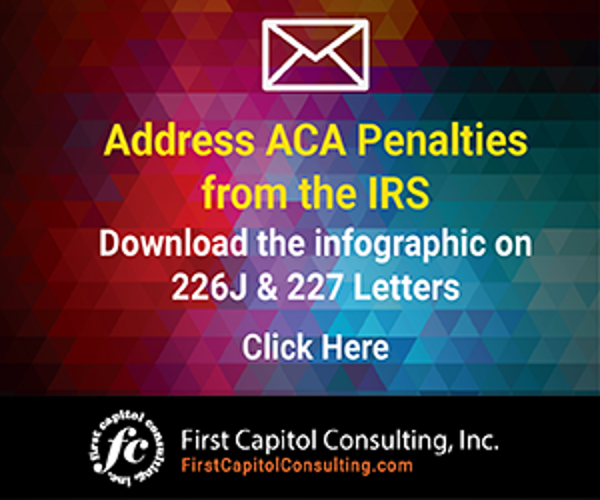 The IRS is currently issuing Letter 226J penalty assessments to ALEs identified as having failed to comply with the ACA’s Employer Mandate. The IRS also is issuing penalties to ALEs under IRC sections 6721 and 6722 for failing to distribute form 1095-C schedules to employees and to file forms 1094-C and 1095-C schedules with the federal tax agency by required deadlines. 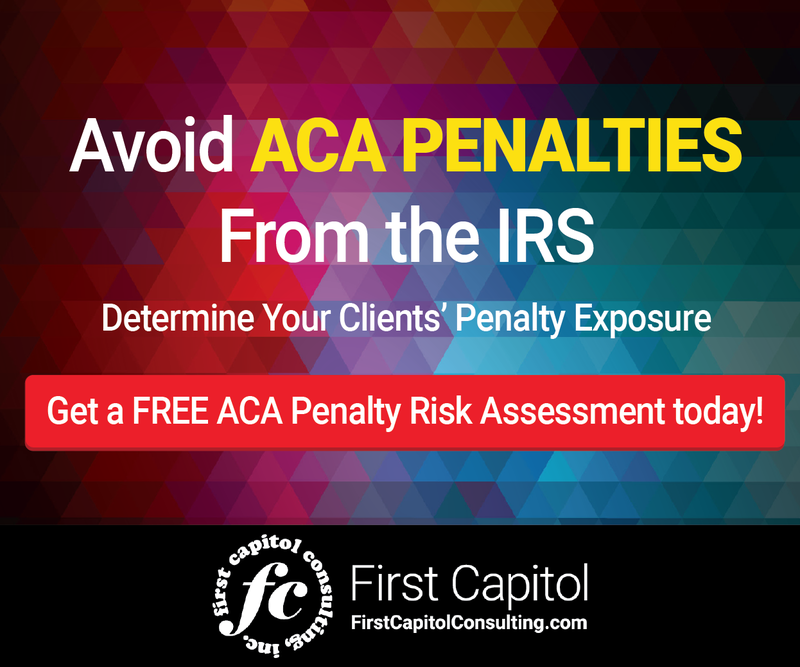 Organizations should elect to have a cost-free ACA Penalty Risk Assessment performed to learn about their potential exposure and strengthen their ACA compliance.